Style: Wood Poker Set Box Initials or Name: Font: Please choose oneNoneInterlocking MonogramCircle MonogramScript Two LineOld EnglishRoman Three Line (Block) Who is this item for? 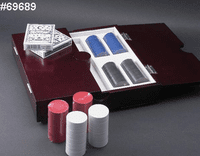 What a beautiful gift for the serious card player or the person who has everything! A lovely wood box that holds two decks of cards and 200, 9 gram chips. Opens side to side from the center on hinged lids. 11" x 11" closed. 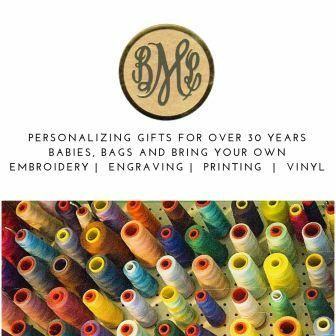 Can be personalized on a small engraving plate on the top with initials or a name.